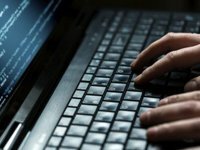 Massive cyberattacks have recently been carried out on the Ecumenical Patriarchate and on the exarchs themselves, Ukrainian Foreign Minister Pavlo Klimkin has said. "Massive cyberattacks have recently been carried out on the Phanar, the Ecumenical Patriarchate, and the exarchs themselves. There's nothing sacred for those who are behind this!" Klimkin wrote on his Facebook page on Monday. He also noted that a meeting with the exarchs of His Holiness the Ecumenical Patriarch on September 17 had left a lot of impressions and emotions. "I will certainly share ideas and thoughts with you in the near future," he added.